is a group of local residents who have a genuine concern in the history of Boularderie Island. The Executive consists of Co-chairs Donnie Patterson and Dianne Timmons, Secretary Corrina Petersen, and Treasurer Glenda MacAskill. The Society is active in a number of areas within the community. 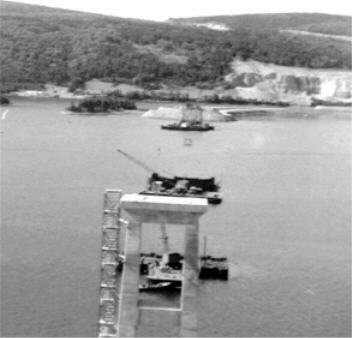 Incorporated in 2000, the society has been behind a number of community based initiatives, such as a youth employment project that produced the book "Along The Shores Of Boularderie" and more recently the BIRRCH Project (Boularderie Island Research Restoration Community Heritage). This project focuses on compiling data, including graveyard, marriage, census, and baptismal records so that one day people can research their roots. At the same time, the project is offering participants an opportunity to gain valuable employment and build on their technical and research skills. The Society has been an active participant in the McNeil Beach Lighthouse Restoration effort and will continue to be a proud champion of any community project that preserves and promotes our beautiful Island of Boularderie. 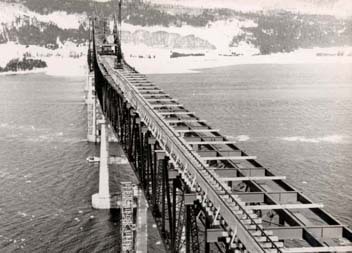 The first stages of construction of the Seal Island Bridge.